The winners from the recent Scottish Policing Excellence Awards 2016. The innovation and success of Police Scotland’s workforce – including officers, staff members, special constables and probationers – to help keep people safe have been celebrated at an awards ceremony to highlight their outstanding work. The second annual Scottish Policing Excellence Awards 2016 took place on Friday at the Scottish Police College, Tulliallan. 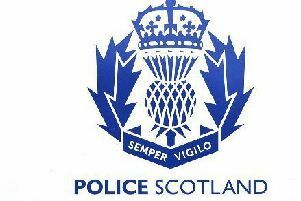 Initiated last year to reward excellence and innovation in Scottish policing, the event is sponsored by Police Mutual and supported by the Scottish Police Authority and the Scottish Government. Chief Constable Phil Gormley opened the awards. He said: “This awards ceremony demonstrates the tremendous dedication, commitment and professionalism of our officers and staff, from some of our most experienced employees to our newest recruits. “That’s one of the reasons I am immensely proud to be chief constable of Police Scotland. “The tireless efforts of officers and staff alike – which are being recognised by their peers and managers – all contribute to the national aim of keeping Scotland’s communities and people safe. Their dedication is an inspiration to the whole country. Awards were presented by the chief constable as well as Justice Secretary Michael Matheson, Scottish Police Authority chairman Andrew Flanagan and Police Mutual representatives Corinne Porter and Linda Evans. The awards were open to all police officers and members of staff of any rank or grade. Nominees were proposed by colleagues and peers as a reflection of their hard work, commitment and effort in promoting the values and aims of Police Scotland. Each category was shortlisted by a judging panel consisting of members from Police Scotland’s Force Executive. All finalists attended today’s ceremony where they were welcomed by the Scottish Police and Community Choir, members of the Force Executive and one of Police Scotland’s pipers PC Calum Beaton. Police Officer of the Year is Police Constable Tracey Gunn of Edinburgh Division. PC Gunn was the driving force behind the creation of the Police Liaison Officer position at HMP Edinburgh, as well as establishing the “Meet the Police” and developing a booklet for inmates’ children. The scheme has now also been rolled out at Stenhouse Primary School, and led to invitations to promote Police Scotland at other schools and youth clubs. The scheme has been described as ‘ground-breaking’ and one which other parts of the world might seek to replicate. PC Gunn was selected as this year’s winner from an all-female shortlist, with the other nominees also being based in Edinburgh Division. Special Constable of the Year was named as Jacqueline Ross from Argyll & West Dunbartonshire Division. Based at Bowmore and with almost 11 years’ service to the communities of Islay and Jura, SPC Ross frequently volunteers her free time and turns out to assist regular officers, often at short notice, with her local knowledge at times proving to be invaluable. Probationer of the Year was awarded to PC Jordan Kerr from the Lothians and Scottish Borders Division. Having previously served as a Special Constable, PC Kerr joined full time in 2015 and has excelled himself in taking time to engage with the public and through his comprehensive knowledge of legislation, policy and procedure. Financial Investigator John Duffy QGM from the Specialist Crime Division has been named Police Staff Member of the Year for his efforts in introducing innovative strategies to combat Terrorism Finance. His capabilities and achievements have been commended by a range of partner agencies for his contribution to tackling serious crime. Personally selected by Mr Gormley from the 10 award winners, the Chief Constable’s Award was presented to the team behind the Dementia Awareness Campaign, who also won this year’s Equality Award. Officers from Argyll & West Dunbartonshire division set up the project to raise knowledge among members of the public about how to assist an individual with Dementia from risk and harm. In just two months, one hundred Police Officers received awareness inputs. The team is made up of two Safer Communities officers, the Audio & Visual Department and the Dementia Awareness in West Dunbartonshire Learning & Engagement Group. Unsung Hero of the Year was presented to PC Greg Mizerny of Fife Division. Described as the lynchpin of policing in Levenmouth by both colleagues and local elected members, PC Mizerny has quickly established exceptional links with the local public and partner agencies in his Methil and Levenmouth beat, which combined with his ability to identify risk and threat has led to him being described as an exceptional officer. The Torry Community Policing and Aberdeen Community Safety Partnership Hub teams – North East Division scooped the Greatest Contribution Award for their efforts with Operation Smallwood in reducing ongoing anti-social behaviour by youths in public spaces in Torry, which was becoming a nightly issue. Key issues have been addressed, partnership working strengthened and a range of preventative, pro-active and diversionary measures have now been put in place. Team of the Year was presented to the South Ayrshire Campus Police, who utilised funding from Choices for Life and South Ayrshire Council to recruit local secondary school pupils to write, perform and film an original music video to highlight the dangers around New Psychoactive Substances. The video has been widely shared on social media. This years’ Service Improvement Award was won by the Lanarkshire Rural Crime Group in Lanarkshire division. Set up following a perceived lack of response to a marked increase in rural crime in 2015, the multi-agency group co-ordinated a series of crime prevention events as well as intelligence led operations and targeted patrols, leading to a decrease in reported thefts as well as improved trust and confidence from the National Farmers Union and local rural communities. Lothian Buses and the Police Scotland Transport Liaison Officer in Edinburgh division were the winners of the Policing Partner of the Year Award. With part funding from the bus operator, the partnership role of Transport Liaison Officer was created in 2015. Joint partnership work between Police Scotland and Lothian Buses has created a safer environment for all public transport users in the capital. The awards were again sponsored by Police Mutual, which offers financial products and wellbeing services exclusively for serving or retired Police Officers, Staff and Special Constables, and their families. Justice Secretary Michael Matheson said: “It is an honour to take part in today’s ceremony and to hear of the dedication and innovation from those individuals who make Police Scotland such an exemplary public service. “It is important that we recognise the achievements of police officers, staff and partner agencies as we continue to shape a world class police service for the people of Scotland. Corinne Porter, Police Mutual relationship manager, said: “At the very first Scottish Policing Excellence Awards last year we stated our hope that Police Mutual would be supporting these awards for many years to come, so it’s great to be standing here today as headline sponsor yet again. Andrew Flanagan, chairman of the Scottish Police Authority, said: “We know what an outstanding job our officers and staff do on a daily basis. And today’s Award ceremony is a rare opportunity to celebrate the most inspiring contributions to policing made by our officers and staff over the last 12 months.